Whether you are coming to our showroom for inspiration or you already have your client’s exact design in mind, ProSource® of Houston-Katy offers the products you need to make any kitchen remodel a reality. We help trade professionals find the specific elements they need to meet their client’s design wishes while remaining within their allotted budget. You can rely on the team at ProSource of Houston-Katy to provide comprehensive solutions for your project from start to finish. From storing pots and pans to creating a distinct style statement, kitchen cabinets are part of the heart and soul of a beautiful kitchen. Choose from an extensive array of materials and designs when you choose ProSource of Houston-Katy. 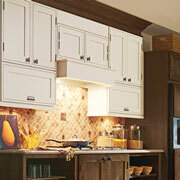 We pair functionality and distinction with our quality cabinet offerings. 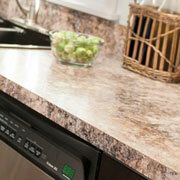 Here at ProSource of Houston-Katy, our team believes that every detail counts when it comes to a kitchen remodel. Your client trusts you to take care of the nitty-gritty elements and our staff is here to help. 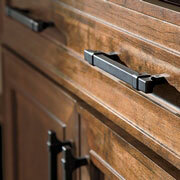 Check out handles, knobs, and hardware of every type. From the sturdiest marble countertops to the classic style of granite, our showroom has a variety of materials and styles to choose from. Whether your client spends hours cooking in their kitchen or simply wants a fresh new look, our friendly team is here to help you choose the right countertop. From large two section sinks to a simple stainless steel basin, we are equipped to provide you with the right kitchen sink at the right price. 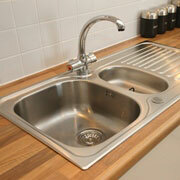 Backed by the power of the ProSource Wholesale®, our kitchen sink options pair quality with wholesale pricing. 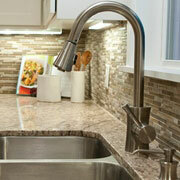 What would an upgraded kitchen sink be without an equally stunning faucet? Check out our variety of unique kitchen faucet options. From simple standard faucets to additional spray options, we can help you pick the perfect faucet style. We serve Katy, Cypress, Sealy, Fulshear, and the west side of Houston, Texas. The ProSource of Houston-Katy showroom is conveniently located in Katy, Texas and serves all of the neighboring cities including Alleyton, Anderson, Barker, Bellville, Bleiblerville, Brookshire, Bryan, Cat Spring, Chappell Hill, College Station, Cypress, Eagle Lake, Fulshear, Hempstead, Hockley, Houston, Katy, Navasota, Plantersville, San Felipe, Sealy, Waller, Wallis and Washington.